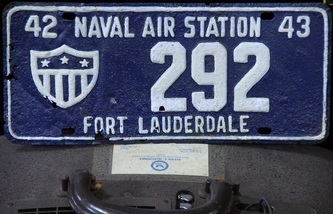 Naval History Museum - Naval Air Station Fort Lauderdale Museum Naval Air Station Fort Lauderdale, the only military Museum in Broward County, on the register of historic places. 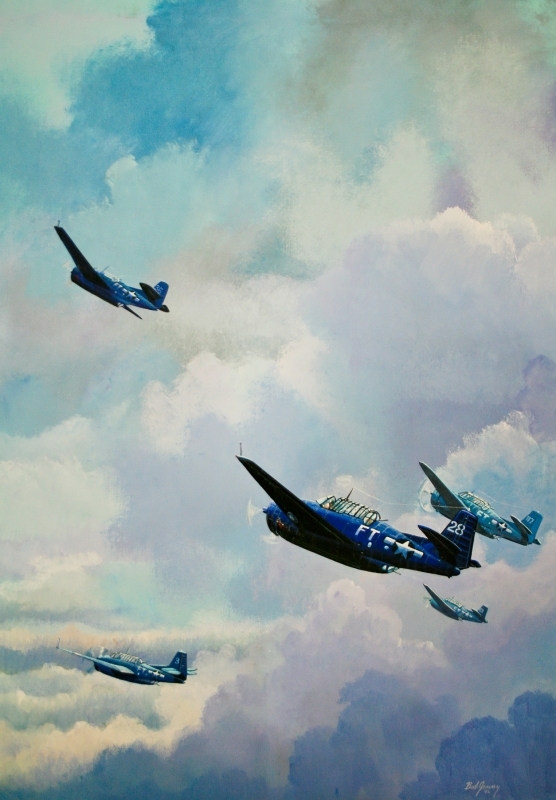 Bob Jenny, was a self-taught artist whose work adorns the walls of hospitals, hotels, houses and military installations all over the world, as well as countless businesses, schools and private homes throughout South Florida. 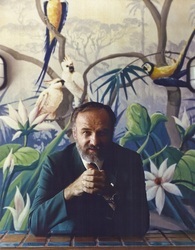 He spent more than 40 years as Fort Lauderdale's leading muralist and painter. He was featured in the October 9, 1970 issue of Life Magazine, a prolific artist whose works often included scenes of South Florida wildlife and nature. A favorite subject for Jenny was the American Bald Eagle. 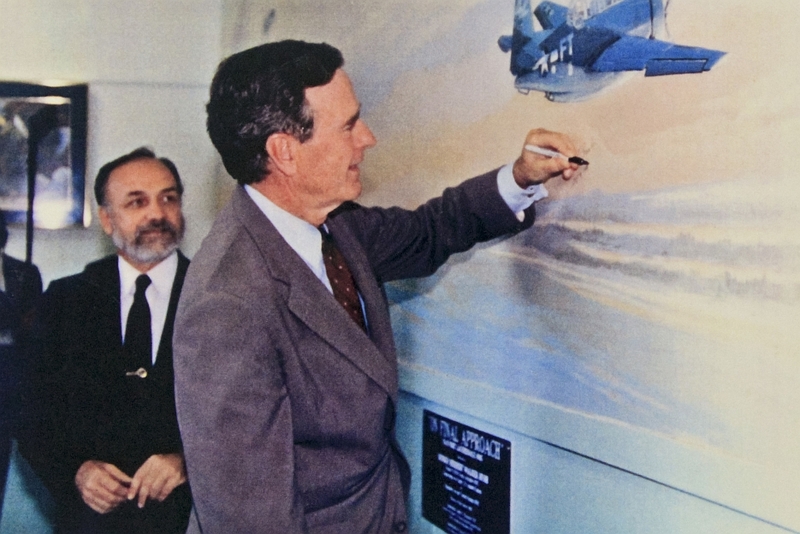 Bob presented the "Birds of Peace" painting in the White House to President George H. W. Bush as well as a painting of a TBF Avenger, the same kind of airplane 19 year old Ensign Bush learned to fly at the Naval Air Station Fort Lauderdale in 1943. Jenny also specialized in large-scale paintings of military subjects, particularly the classic airplanes of World War II. 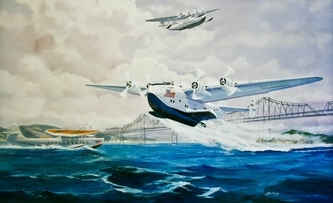 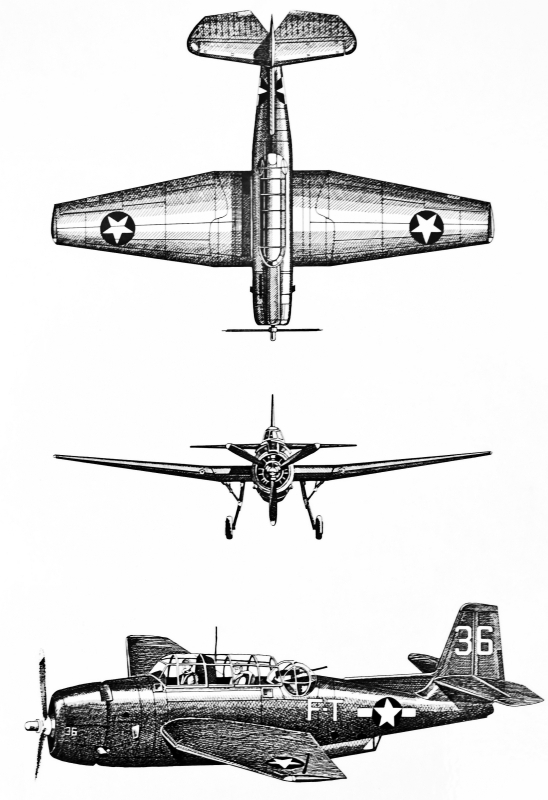 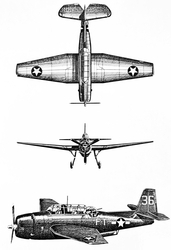 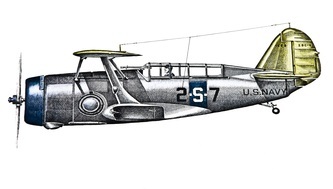 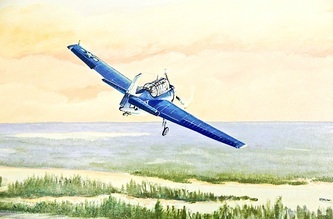 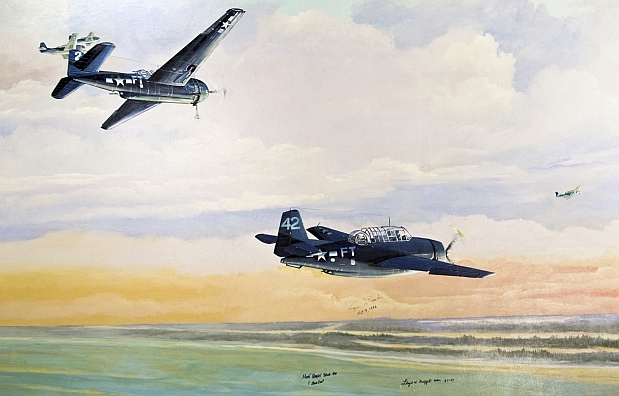 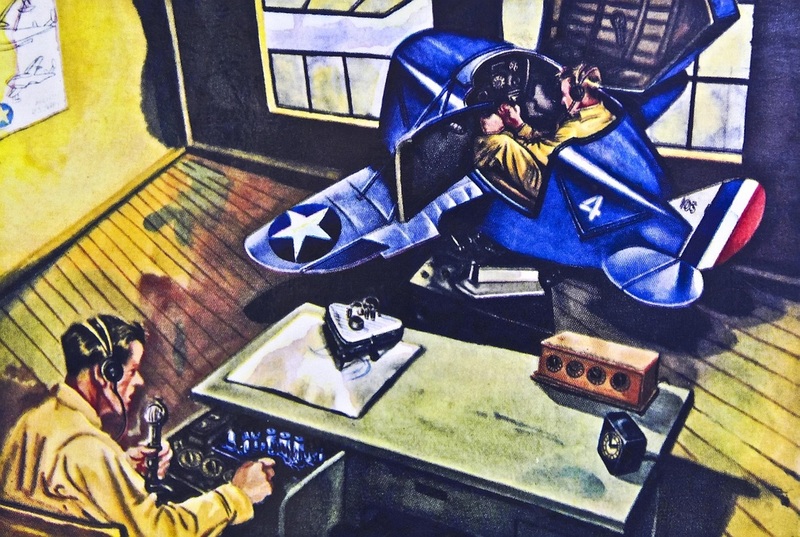 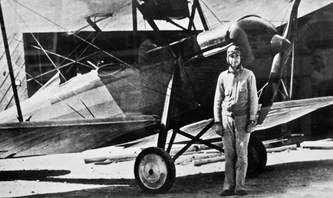 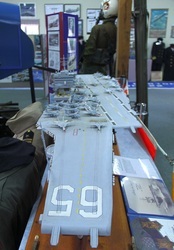 In 1989, Bob Jenny donated his time to paint a 25x7 foot mural inside the Naval Surface Warfare Center (the old JOBQ Building #15) at the behest of a small group of aviation enthusiasts from the Naval Air Station Historical Association who at the time, wanted to see some of the Naval buildings at the Airport preserved. 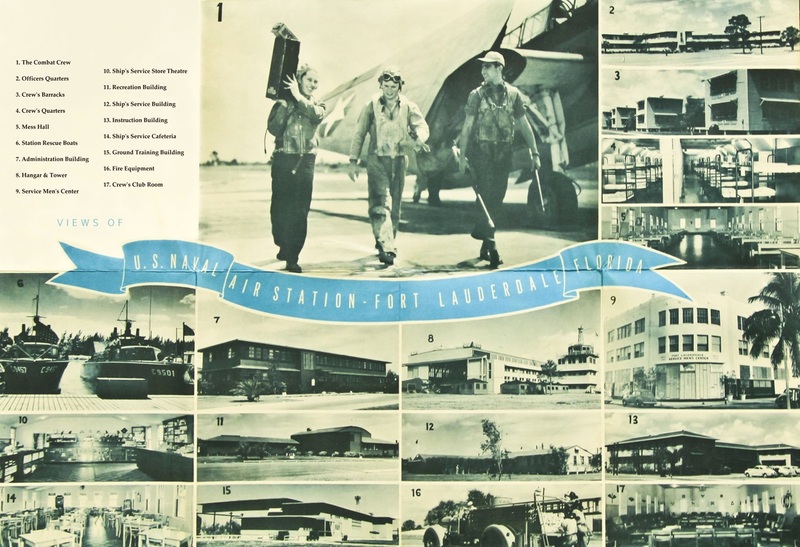 In 1998, it was dismantled from the Naval Warfare Center and relocated to the Link Trainer Building #8 (this building was then moved in 1999 with the mural inside) home of the NAS Fort Lauderdale Museum. 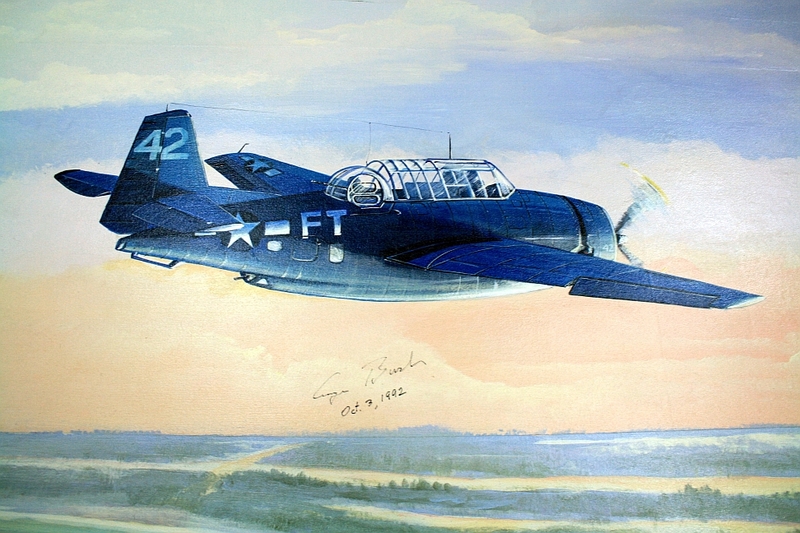 The artist used canvas from the inside of an airplane, and the work was completed in one week. 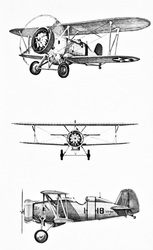 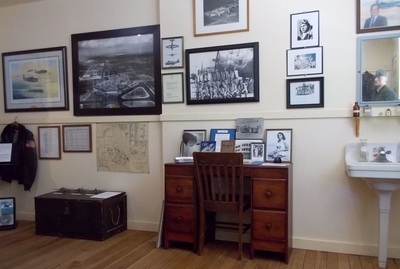 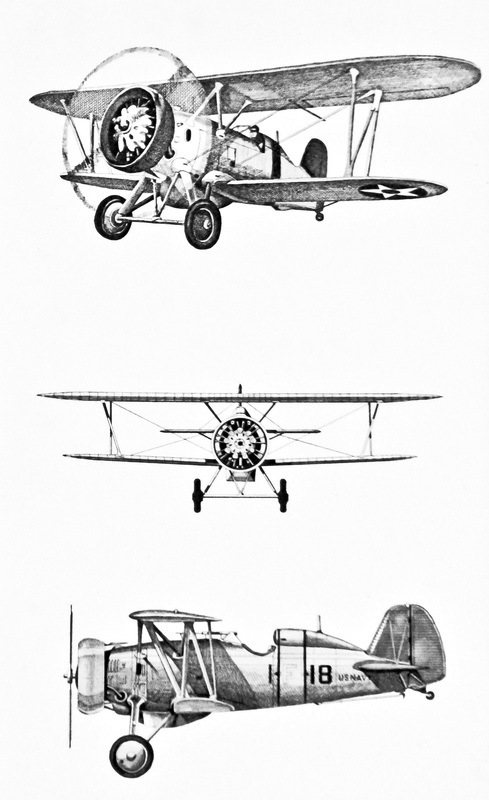 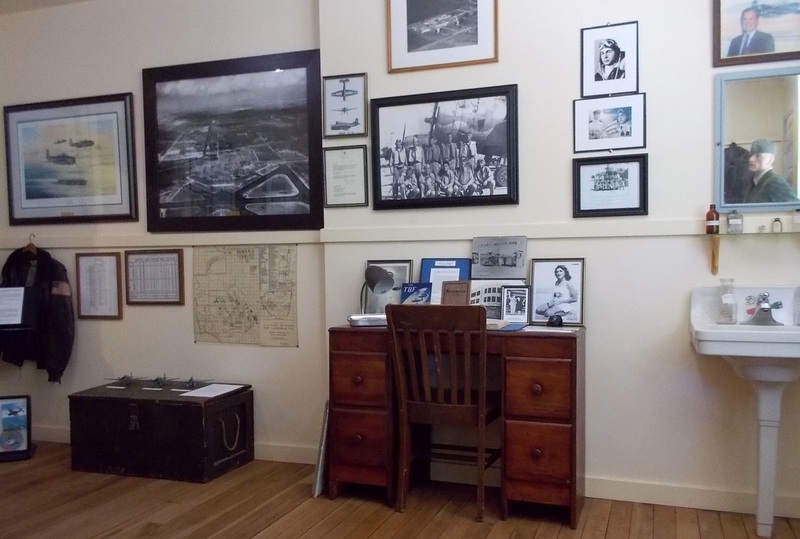 The Museum also exhibits several other original aviation paintings, lithographs, and posters by Jenny. 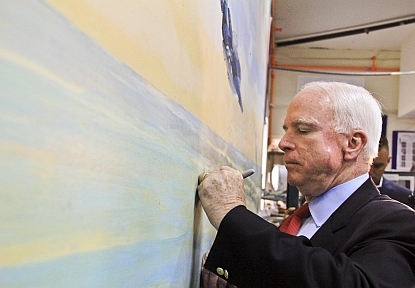 Mr. Jenny also painted the cruise-themed mural in Port Everglades at Cruise Terminal #2. 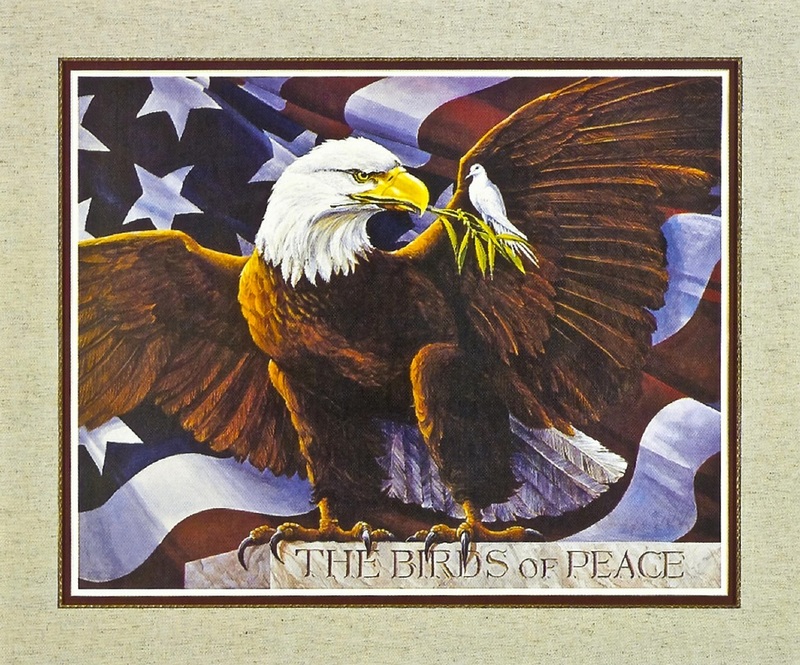 Artist Bob Jenny, always as humble as he was talented, passed away in 2004 at the age of 64. 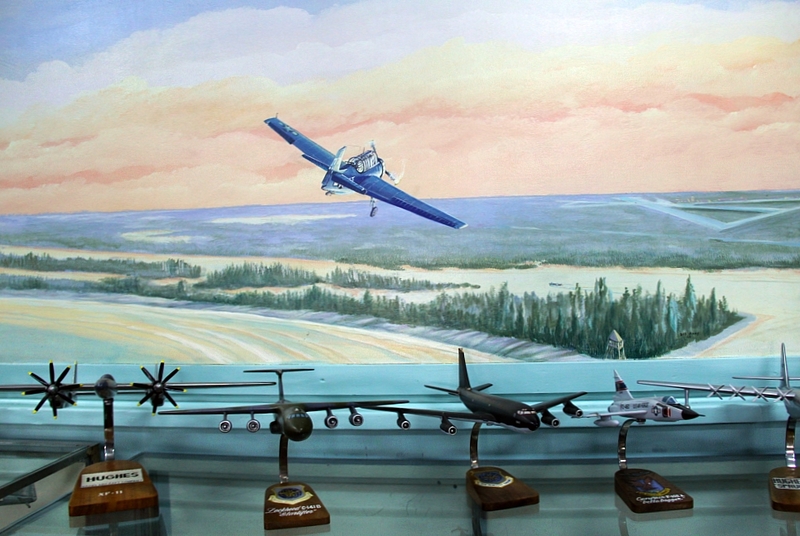 Bob Jenny's mural "On Final Approach" features the airplane flown by President George H. W. Bush and other squadron members in airborne training. 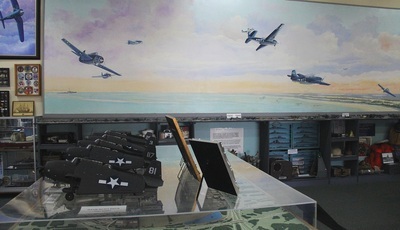 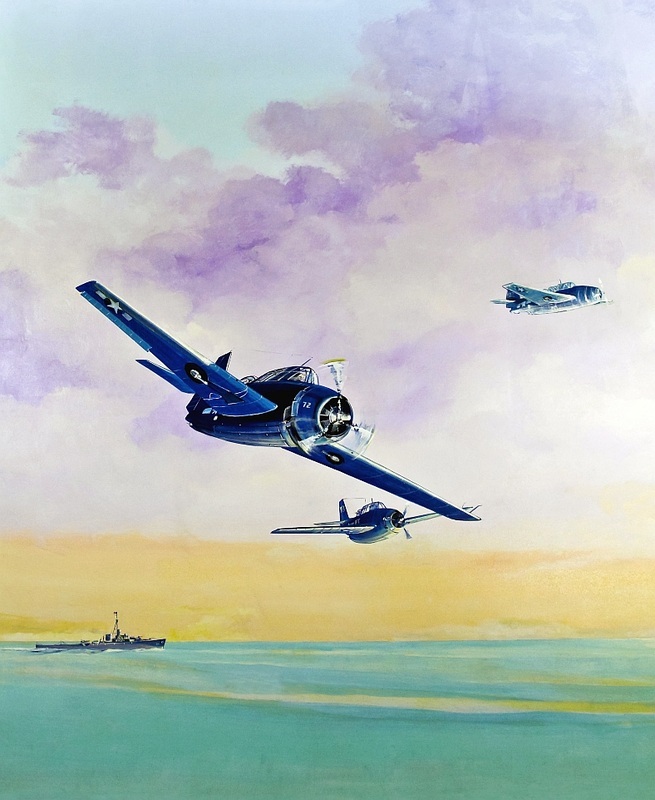 The mural shows nine Avenger aircraft flying through a late afternoon sky of pastel oranges and blues, as well as warships navigating the shore. 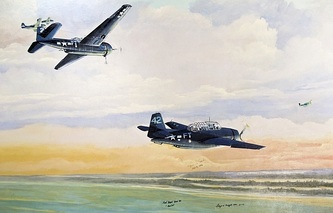 They are making their final approach over Port Everglades on a desolate beach. 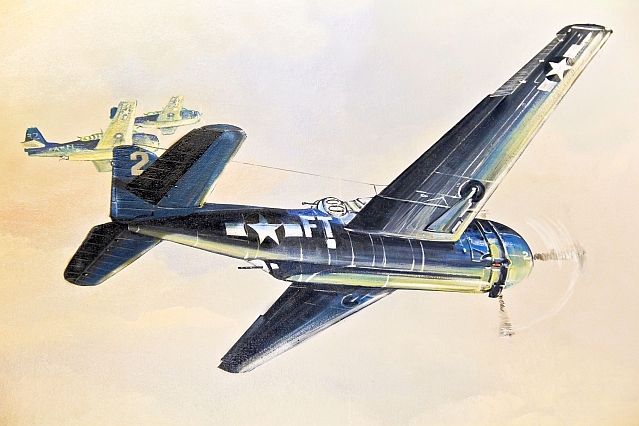 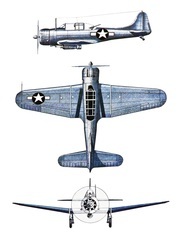 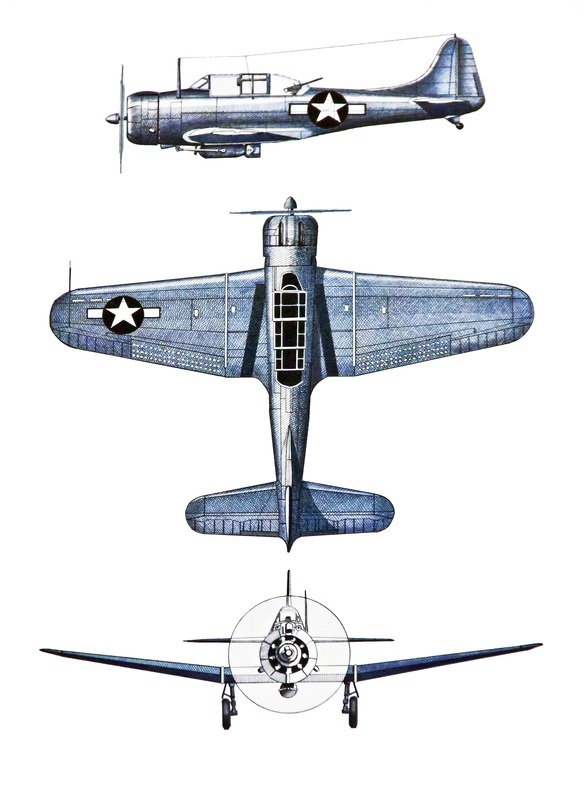 Though Bush's face cannot be seen, his plane is in the center of the painting. In 1992, the former President signed and dated Jenny's mural. 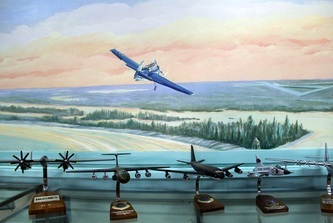 On first glance of the mural, the soft hued landscape and the gentle shores in the distance seem harmless. Upon reflection, one begins to sense the massive and tragic battlefields that overtook the whole world at that time. There is a sense of a void in space, as if something is missing: an urgency to find what was lost at sea and in the clouds. 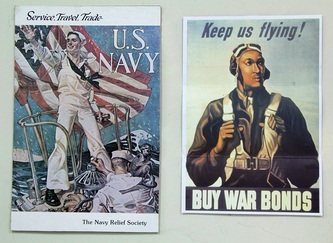 Also one can feel the excitement of former young idealistic boys, hardened by war, finally returning safely home— the lucky ones. 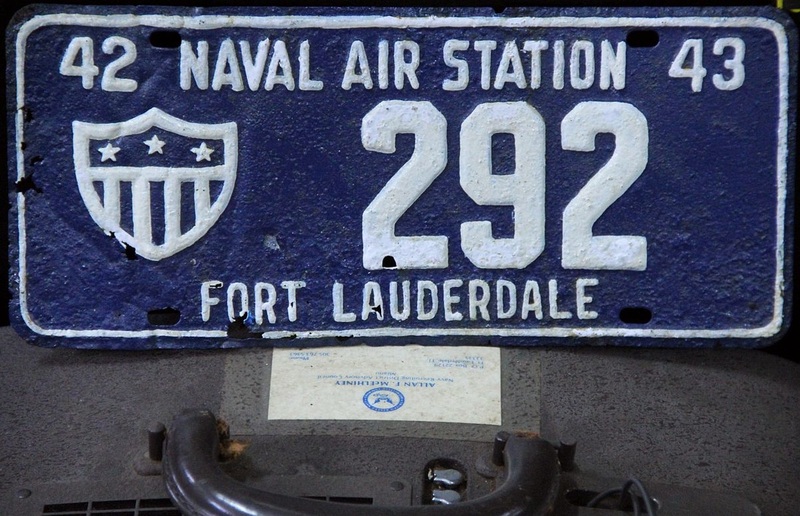 19 year old Ensign George H. W. Bush attended the Naval Air Station Fort Lauderdale during the summer of 1943, where he lived and trained as a torpedo/bomber pilot. 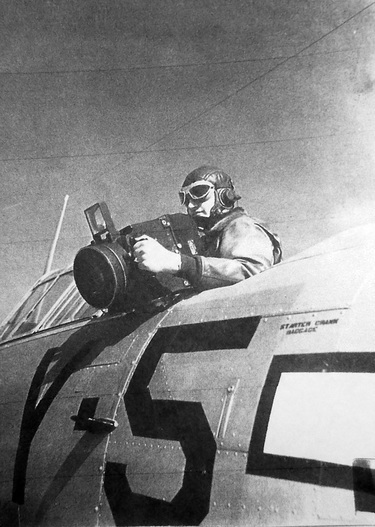 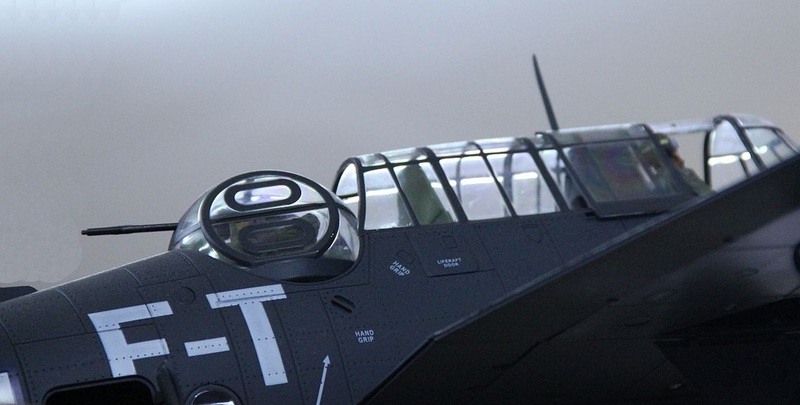 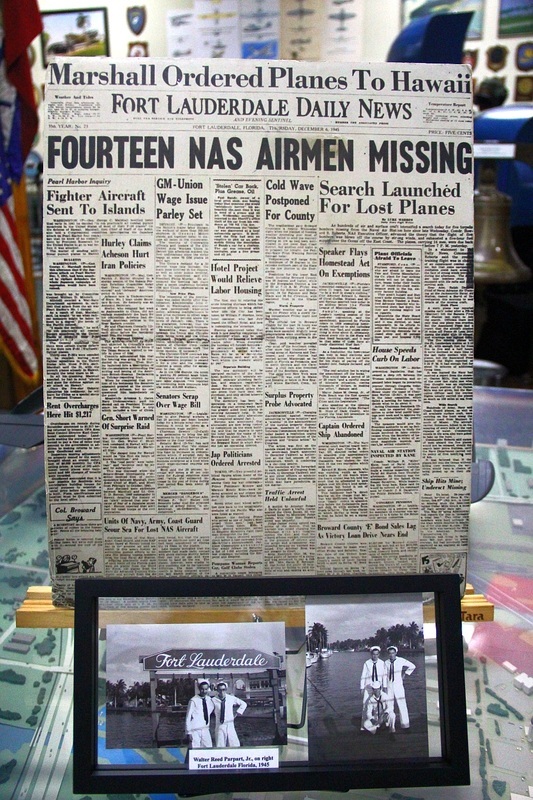 He was trained by Instructor Lt. Thomas "Tex" Ellison, as part of Flight #44. 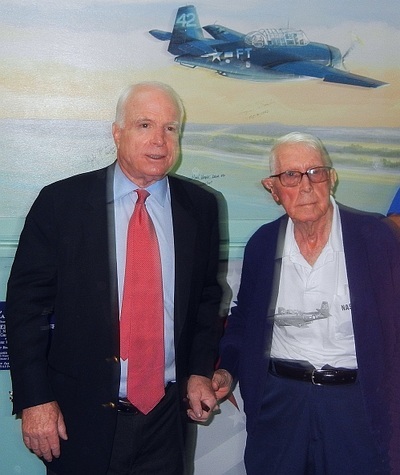 Lt. Ellison was the uncle of former Fort Lauderdale Mayor Jim Naugle. In the year 2001, a group of volunteers reconstructed a barrack's room with oak wood that was salvaged from the old barracks of the Junior Officer Bachelor's Quarters building (JOBQ). 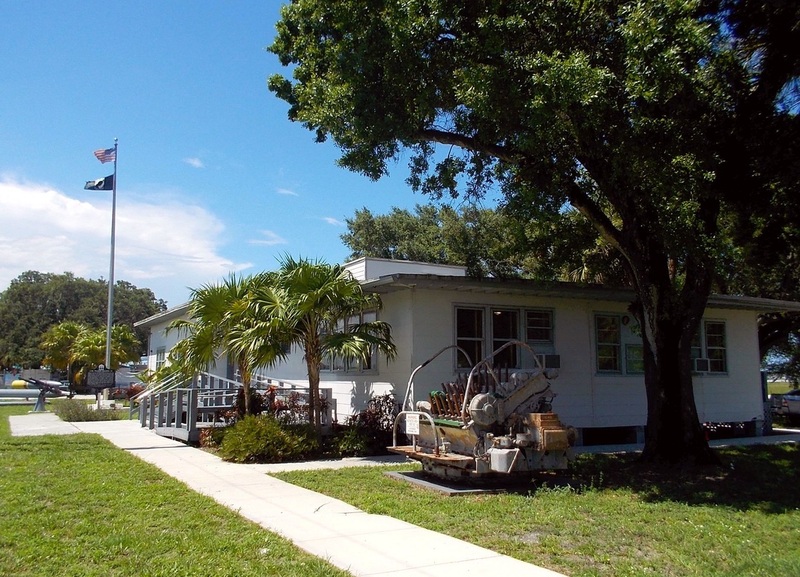 The building's support beams were cut from the durable Florida Eastern Dade County Pine (which is extinct now in South Florida). 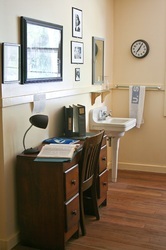 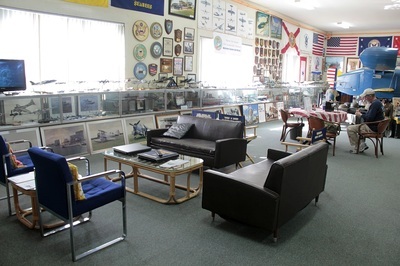 The original barrack's rooms of the NAS Fort Lauderdale base had 2 to 4 men per room. 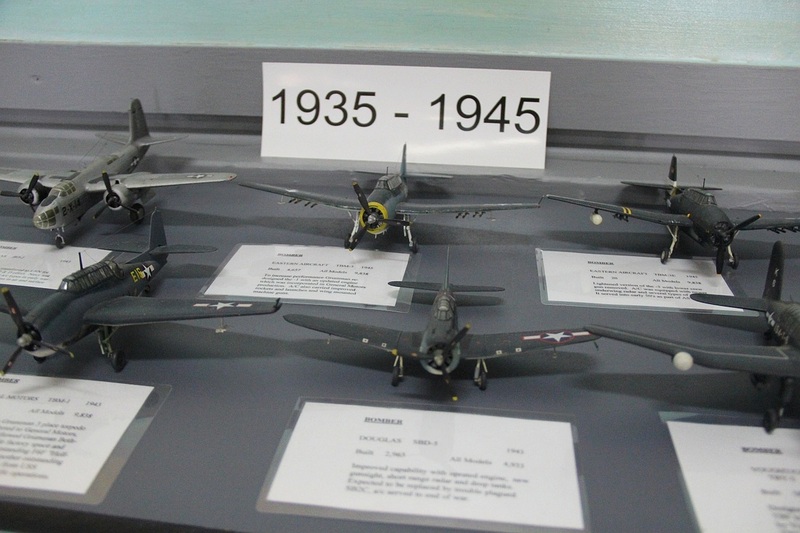 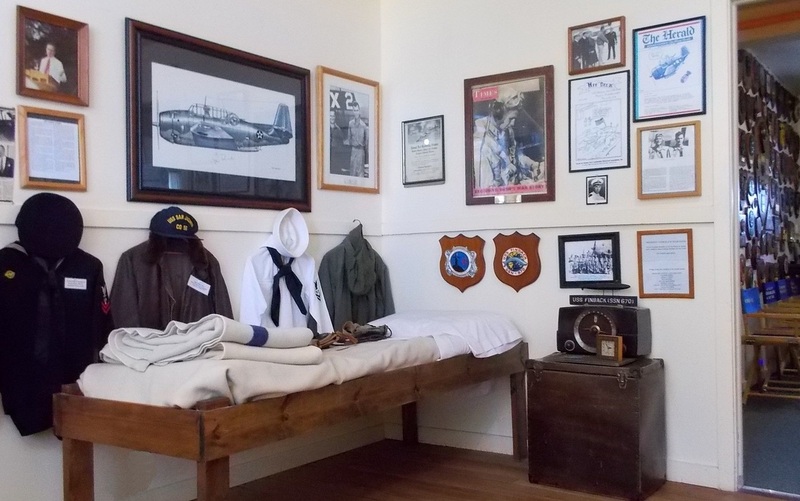 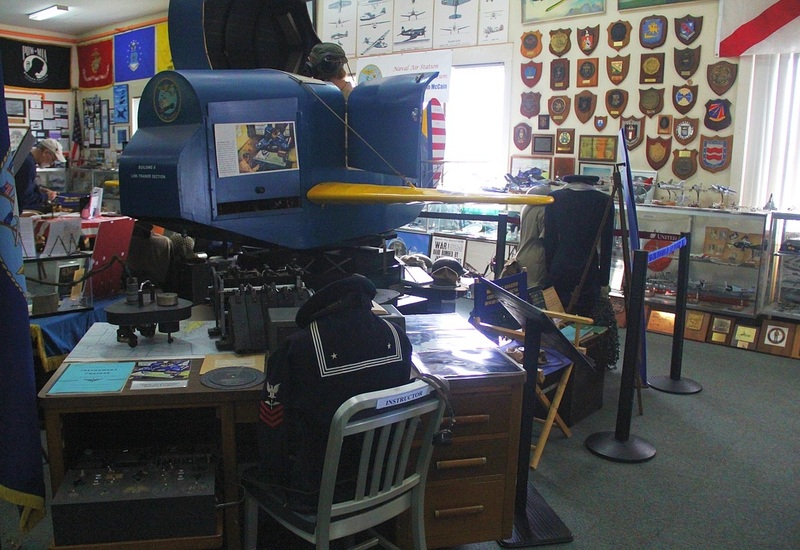 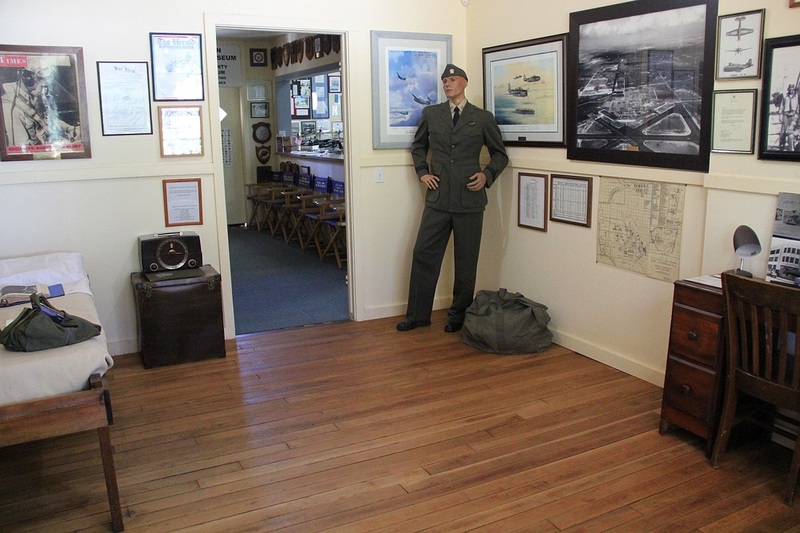 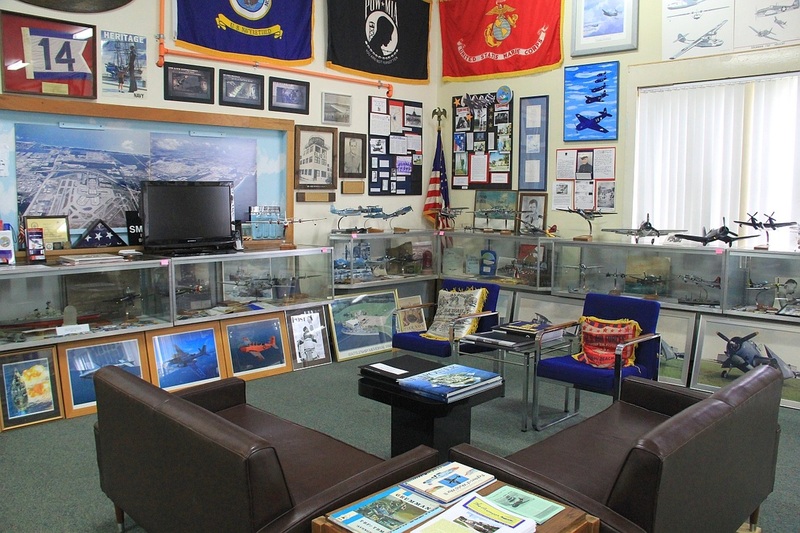 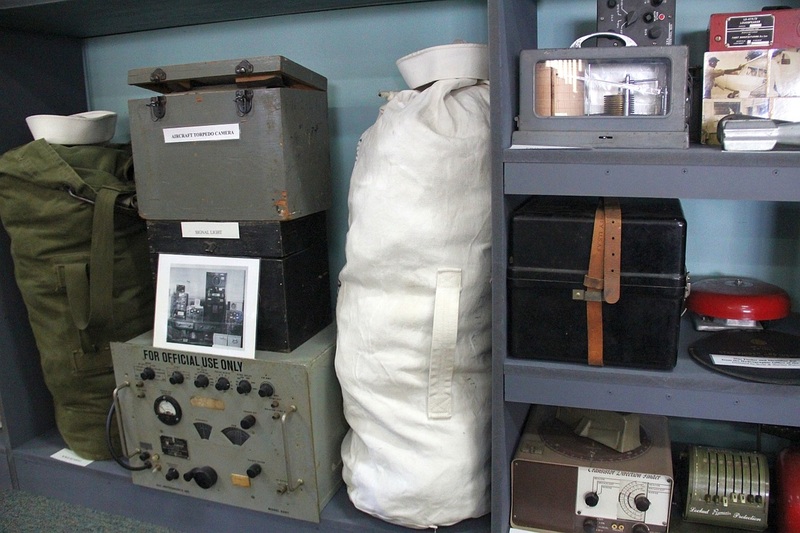 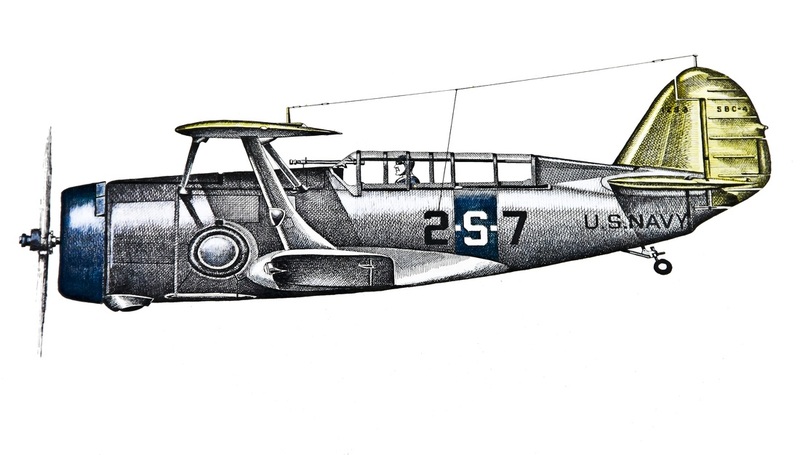 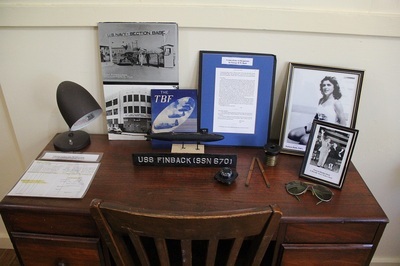 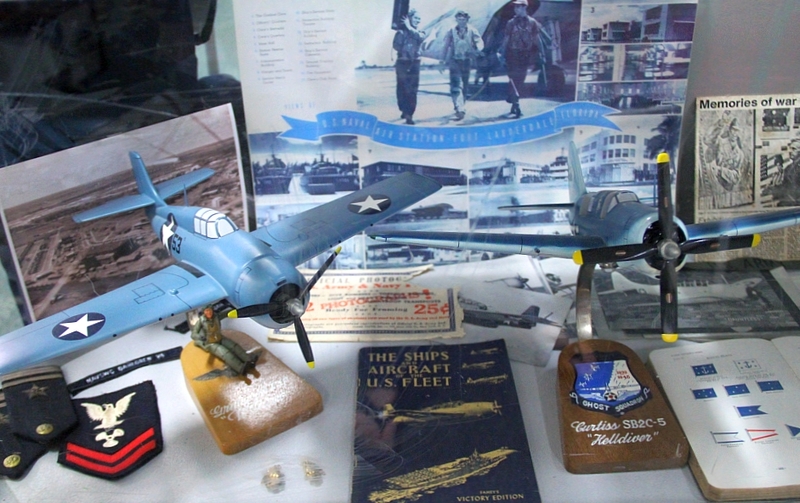 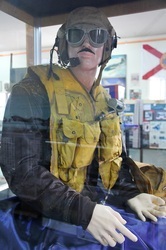 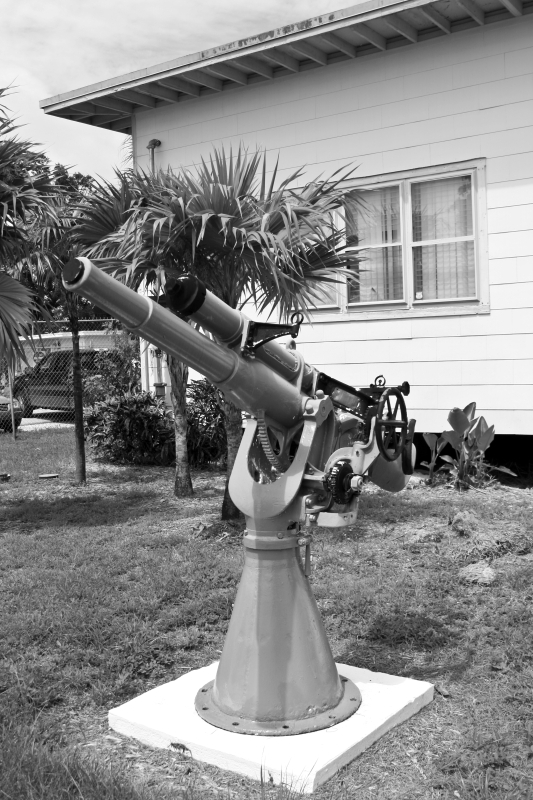 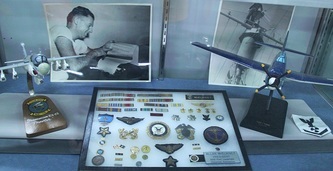 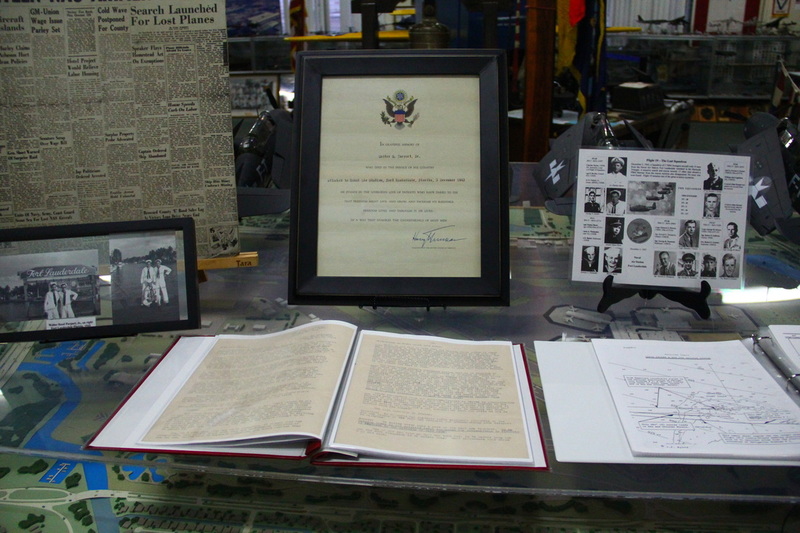 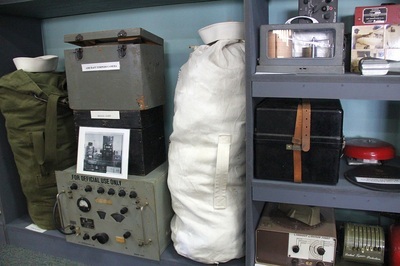 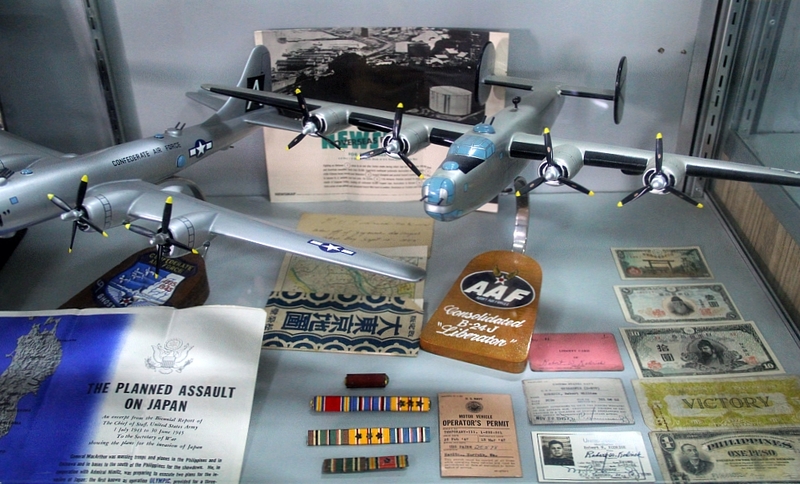 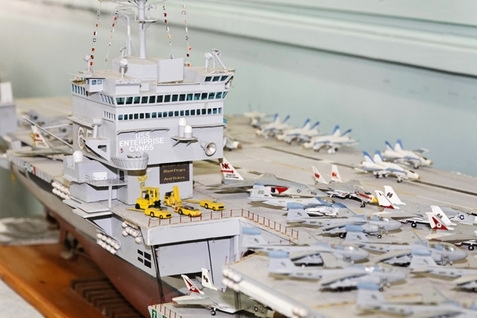 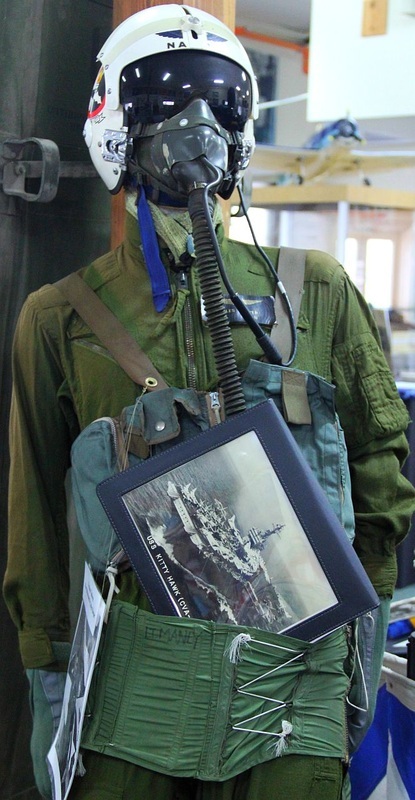 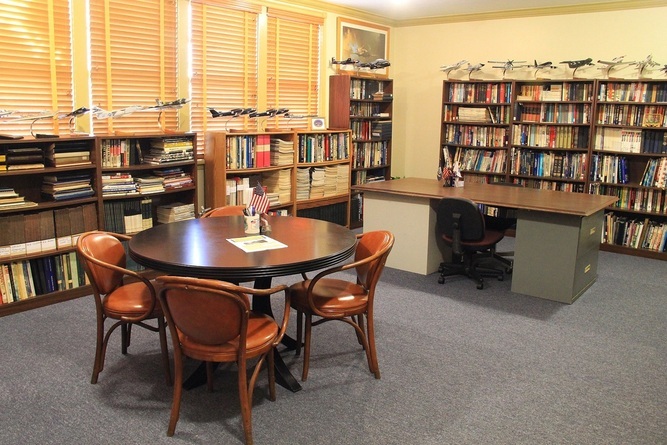 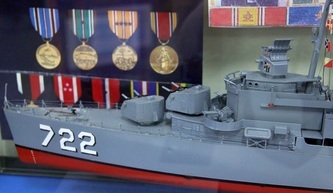 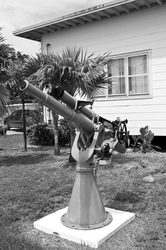 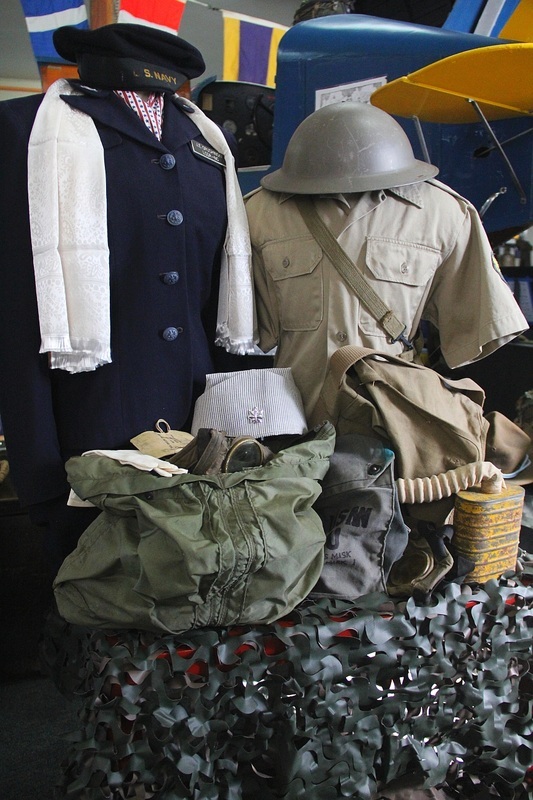 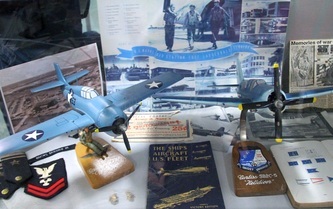 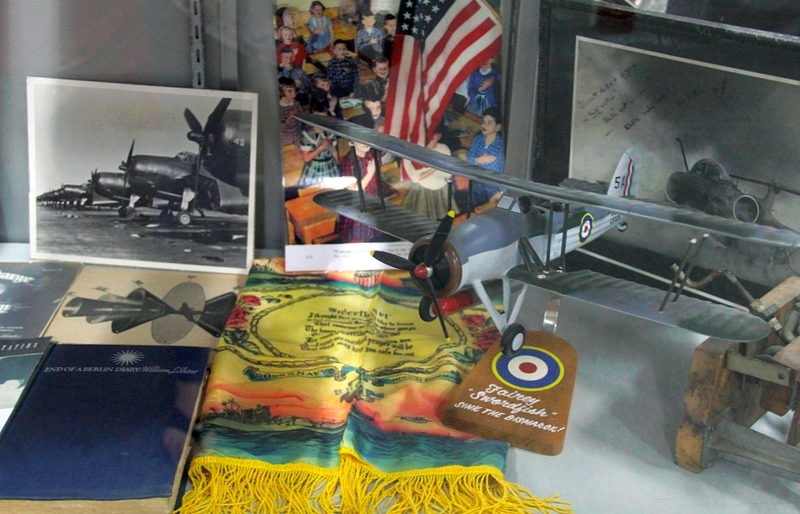 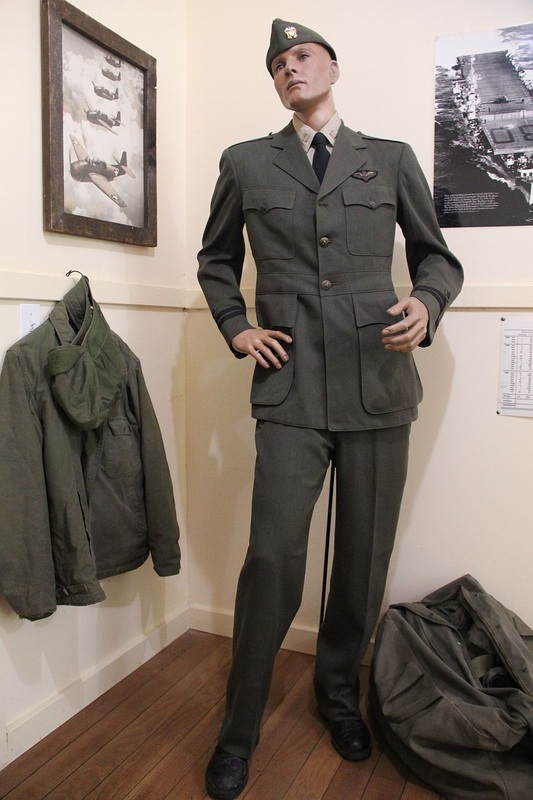 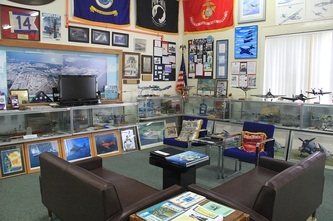 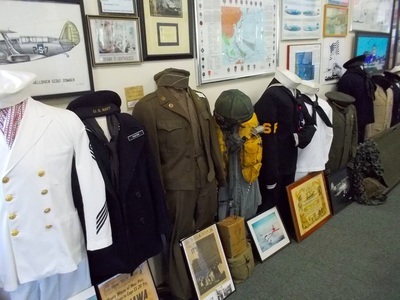 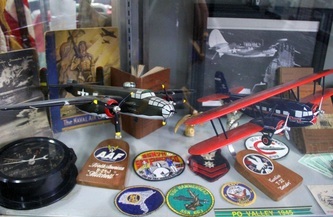 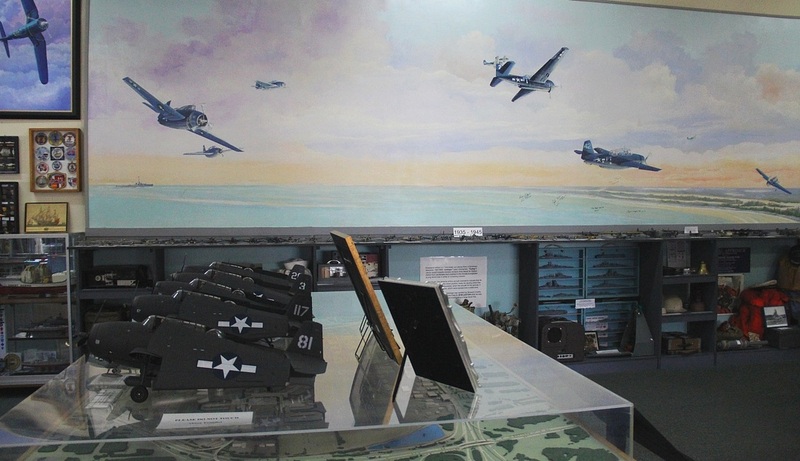 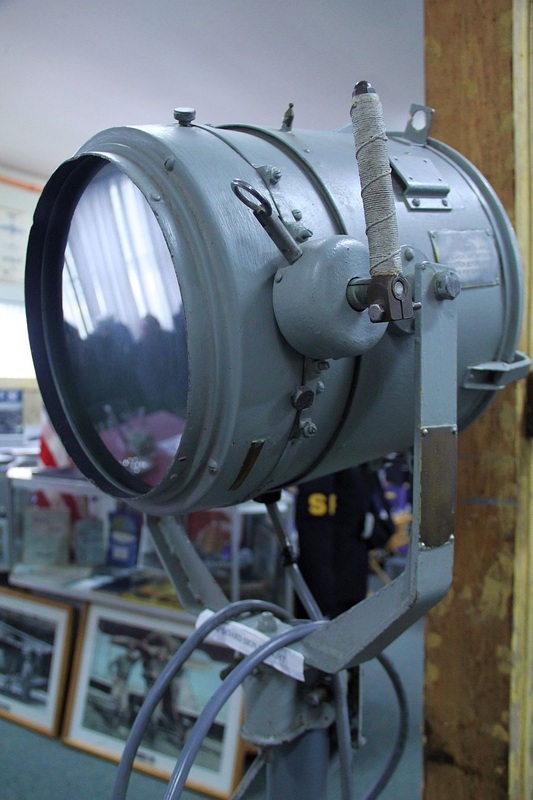 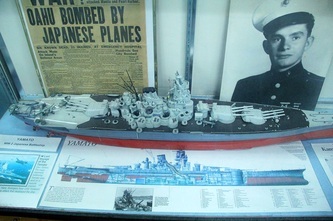 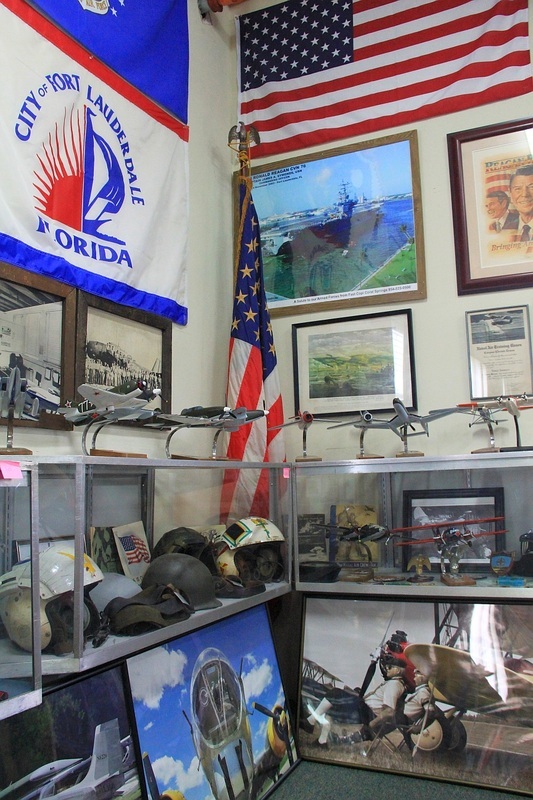 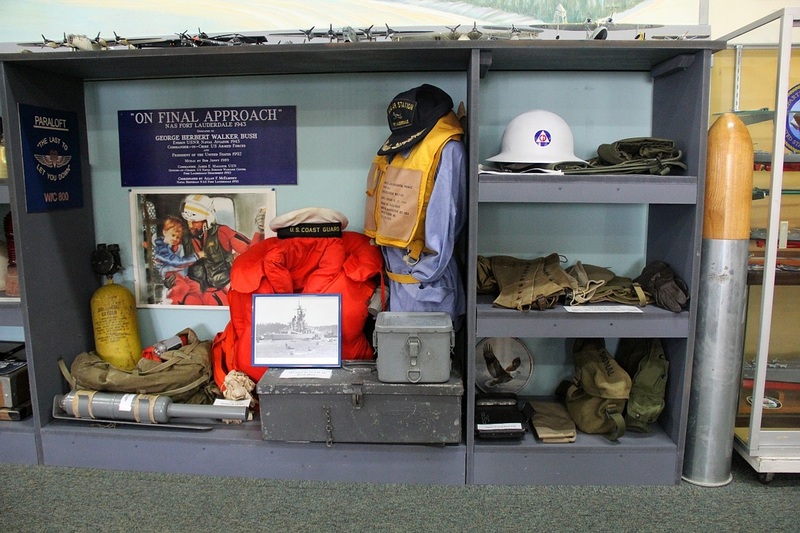 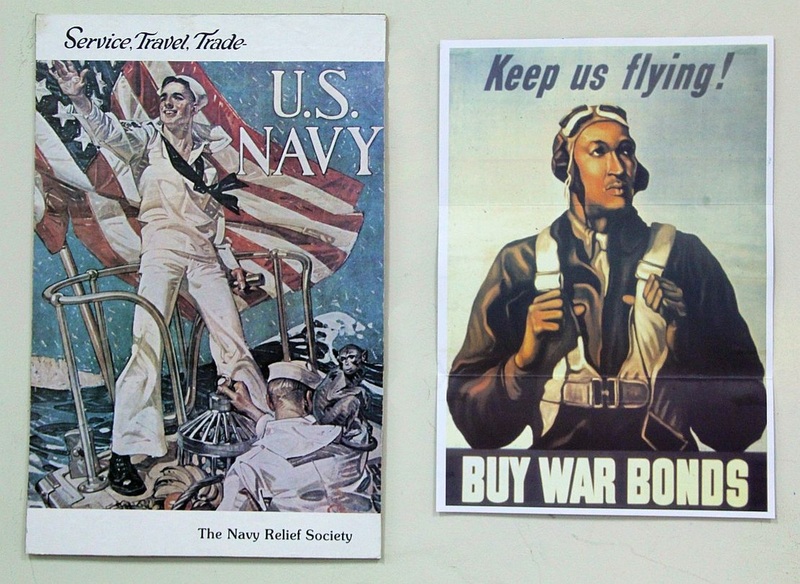 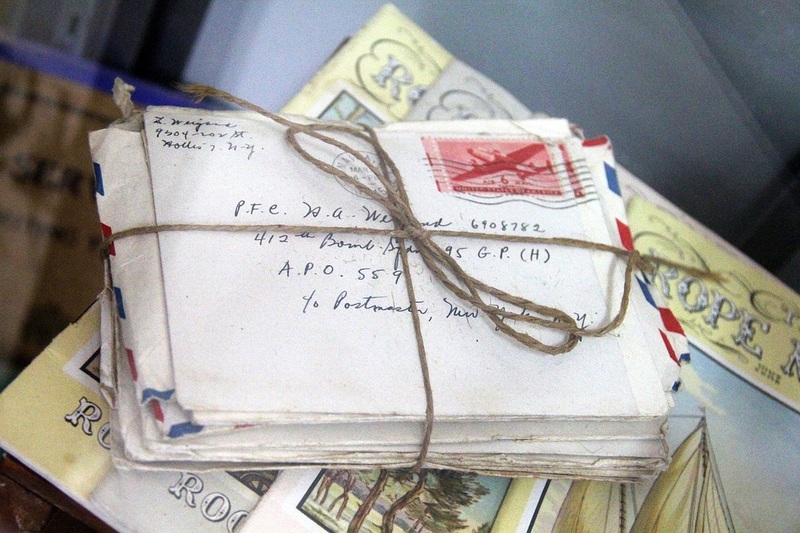 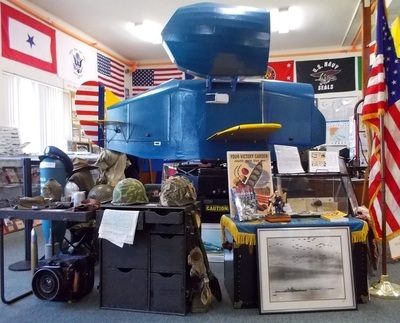 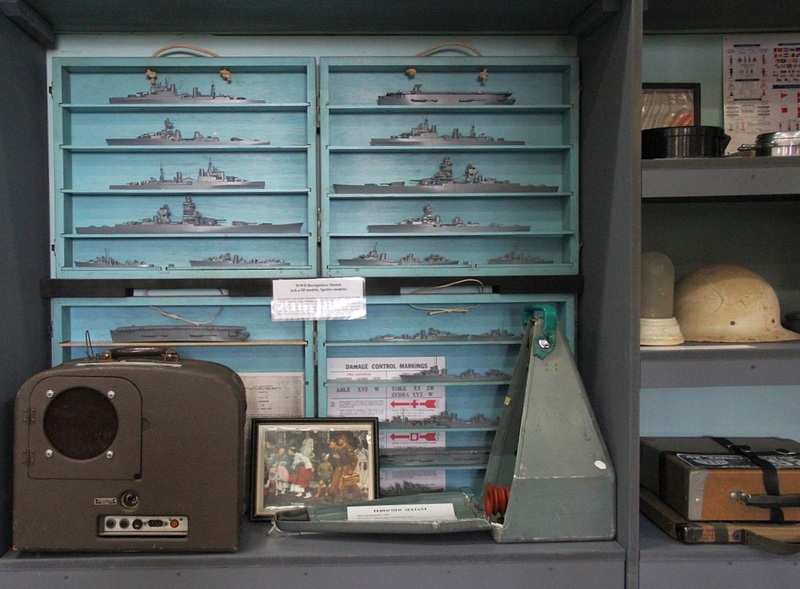 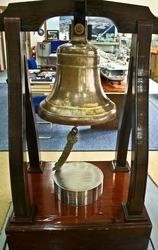 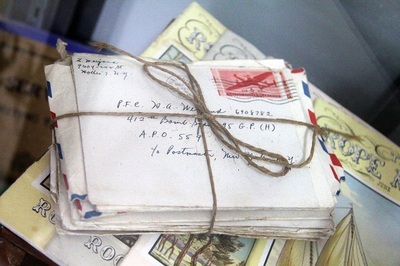 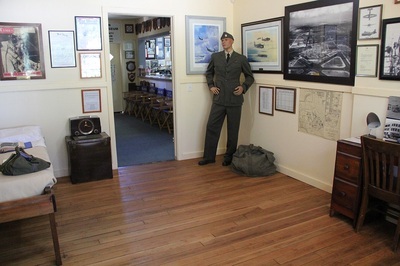 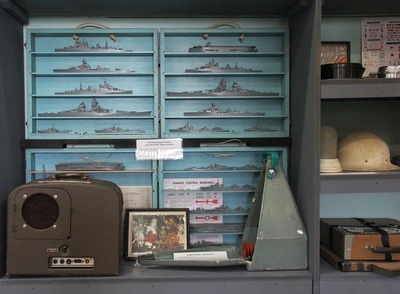 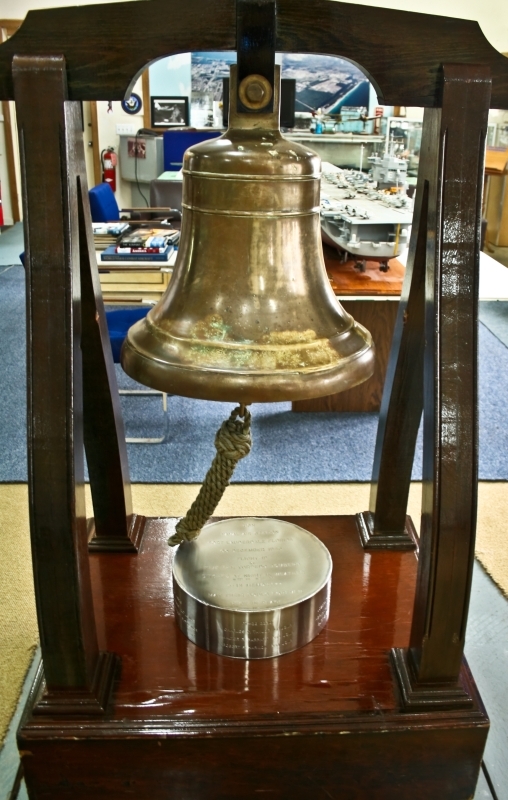 The mission of the Naval Air Station Fort Lauderdale Museum is to select, collect, preserve, and display historic artifacts relating to the history of this Naval base, and also to represent branches of the military, during WWI, WWII, Korea, and Vietnam. 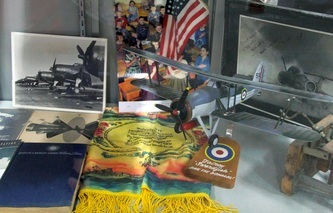 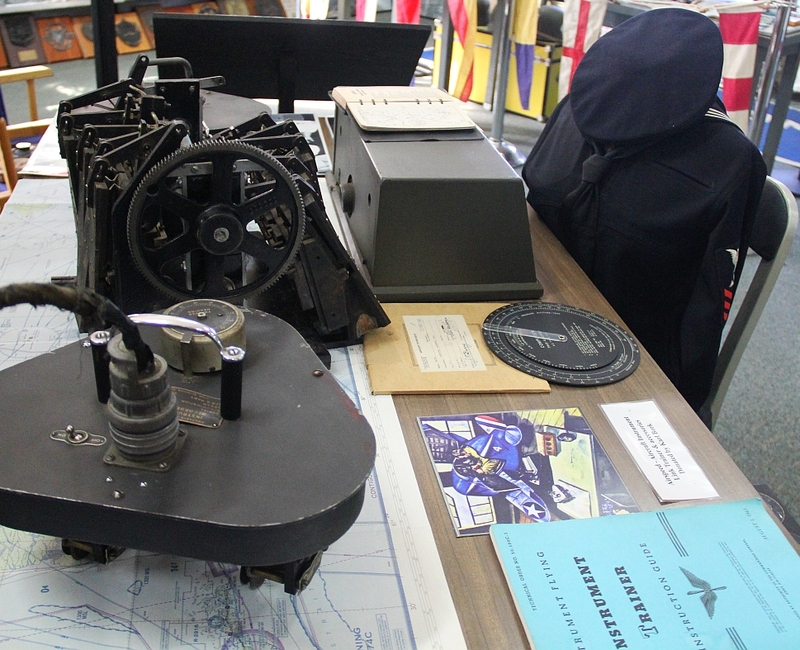 On exhibit you will find: a Link Trainer (an historic engineering landmark), a recreated Soldier's Barracks, history of Flight 19 (one of the great aviation mysteries), uniforms, flight gear, medals, insignia, ship plaques, original naval paintings, cartoons, lithographs, and a book and photography collection numbering more than 10,000 images. 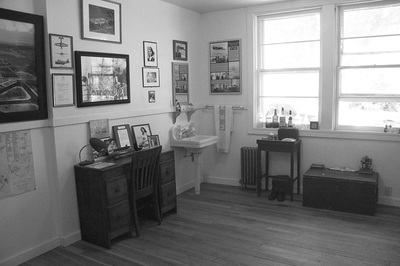 On-site research "Captain John Payne Memorial Library" is available. 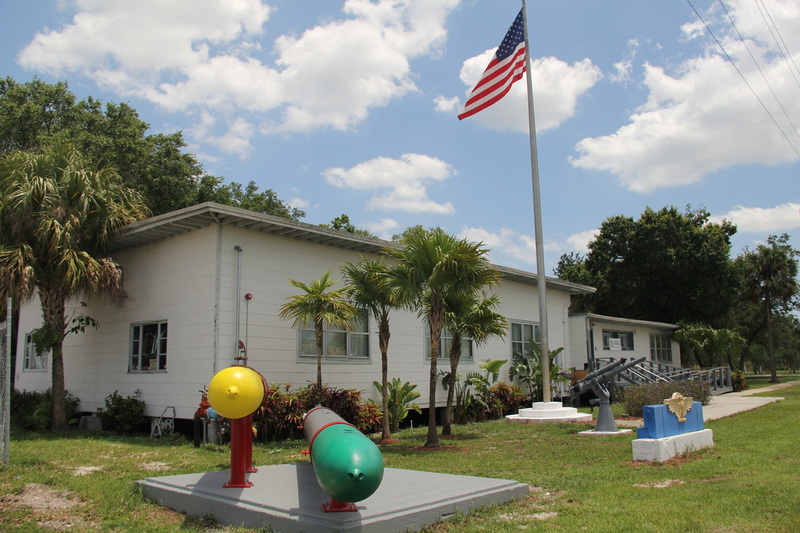 Outdoor artifacts include WWII torpedoes from a submarine, and TBM/TBF Avenger, an anti-aircraft gun, and an anti-submarine Hedgehog. 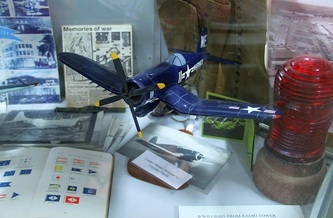 On the museum grounds there is also a self-sustainable butterfly garden with a Flight 19 memorial. The NAS Fort Lauderdale Museum is the only Military Museum in Broward County, on the U.S National Register of Historic Places, and a Florida Heritage Site. 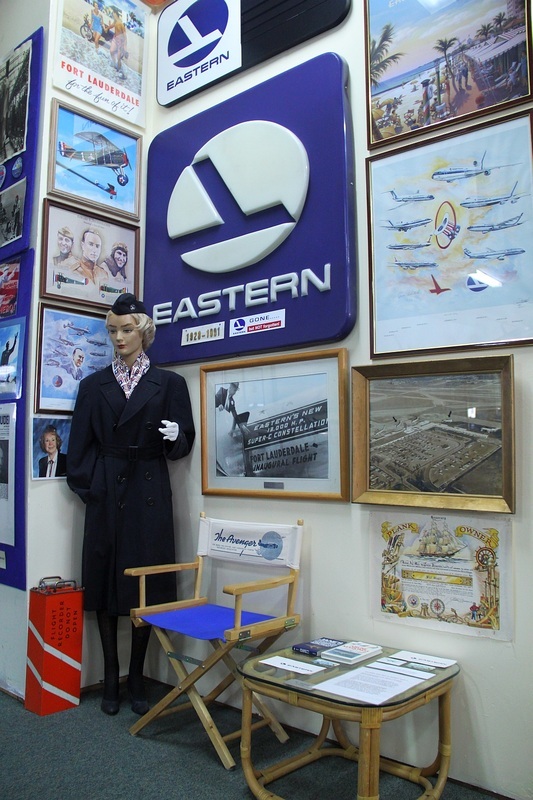 Make sure to come back, as we will be adding more interesting exhibits! 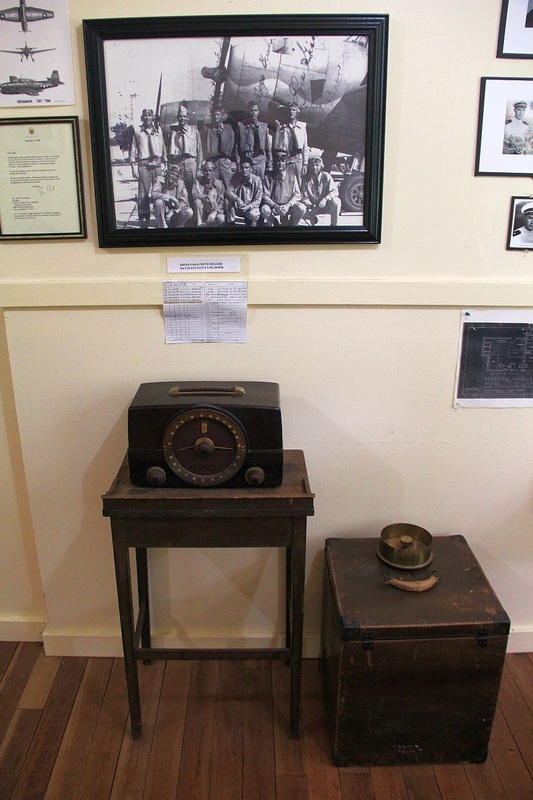 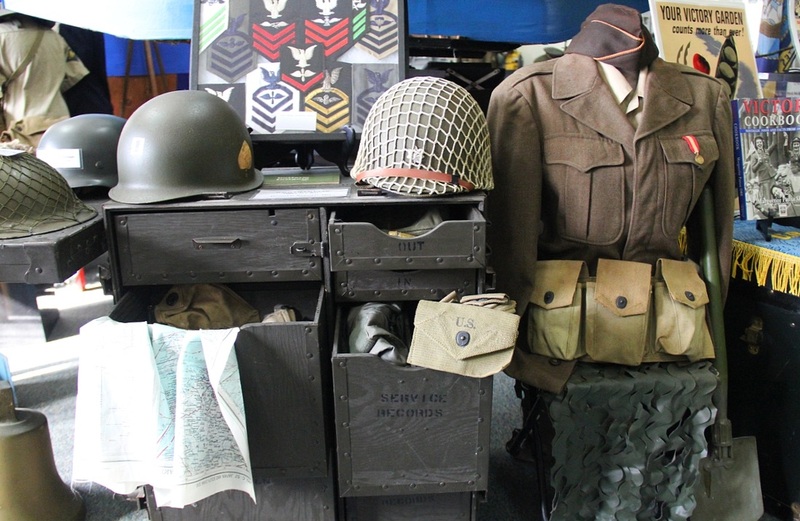 “Broward Goes To War” Exhibit in the museum's gallery depicts the economic, social and demographic changes during the war years of 1941-1945, and shortly thereafter. 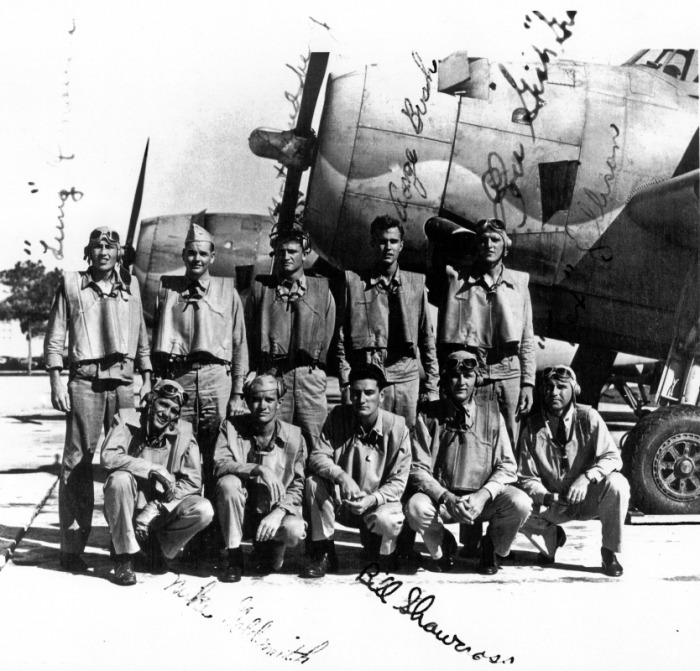 The war put Broward County on the map. 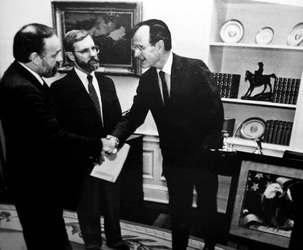 It forever changed it. 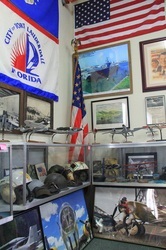 This exhibit was possible, by the Broward County Historical Commission in Fort Lauderdale. This Exhibit features display panels with graphics, diagrams, photographs and period uniforms, artifacts and memorabilia. 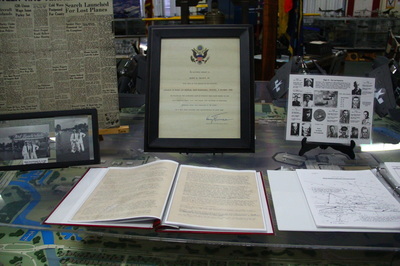 Accompanying text provides details and background information. 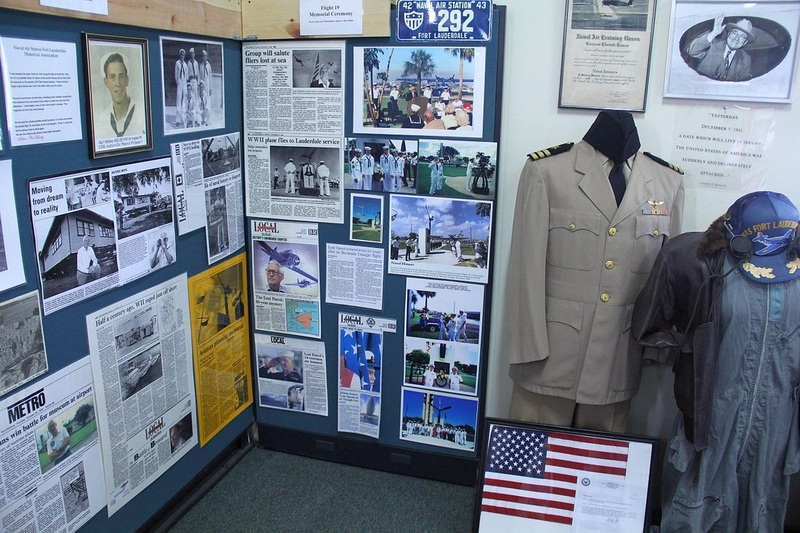 Panels describe the military training that occurred in the area. Naval Air Station Fort Lauderdale, located where Fort Lauderdale-Hollywood International Airport is now, was a training base for bomber pilots, and other naval schools also operated in Fort Lauderdale. Local beach areas were restricted to military personnel, and blackouts at night were often called so that the German submarines that commonly patrolled offshore in the early years of the war would have difficulty seeing land. 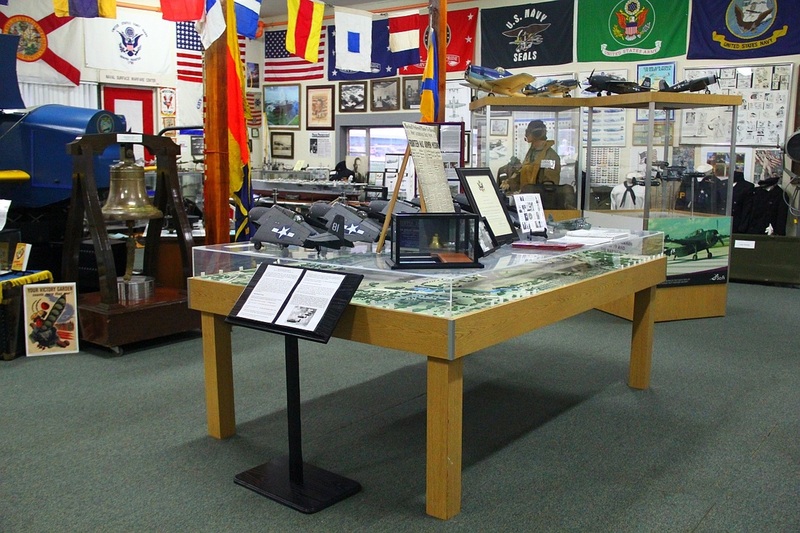 Also on display is a "Victory Cook Book" which describes how to substitute for rationed foods, a collection of ration booklets, light bulbs used during blackouts, and Victory Gardens memorabilia. "It was a time of sacrifice," said Fort Lauderdale resident Allan McElhiney, who served aboard the USS Asheville during 1944-45 while it was at Port Everglades. "People all over the county were involved in the war. 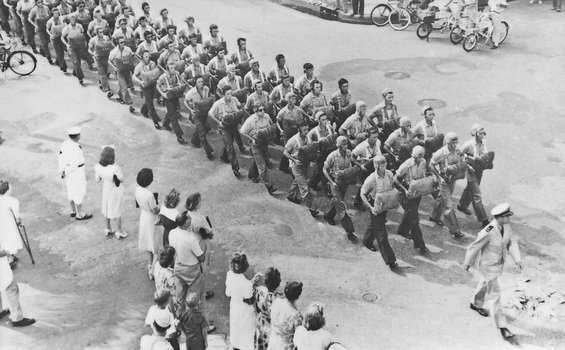 Some people were coming into downtown Fort Lauderdale on horse-drawn wagons because of the gas rationing. 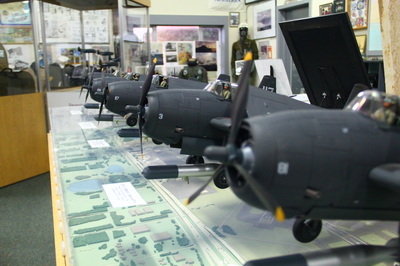 I hope that young people will go to see it and learn about their past history and the role that Fort Lauderdale and Broward County played in winning World War II, " McElhiney said. 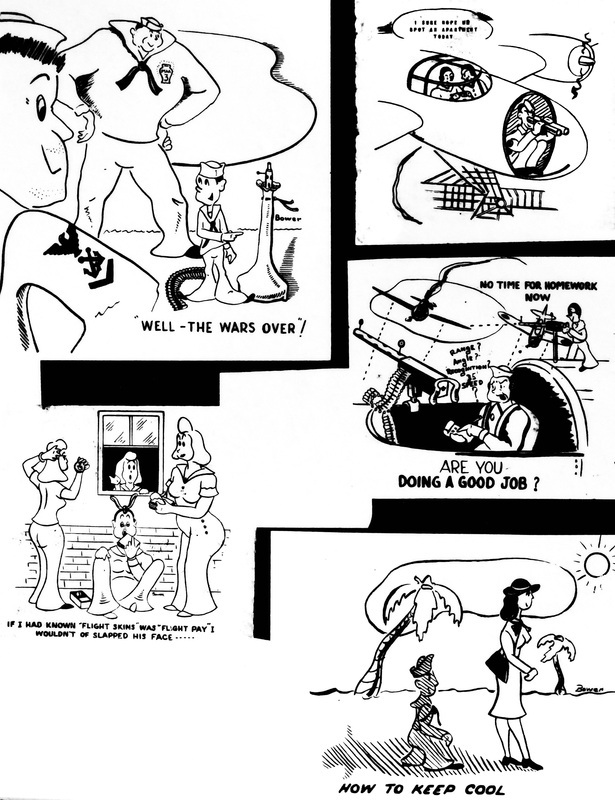 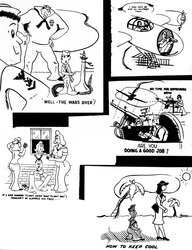 Other panels discuss area industries prominent during the war, such as agriculture and marine businesses, and document how the local economy boomed after the war's conclusion. 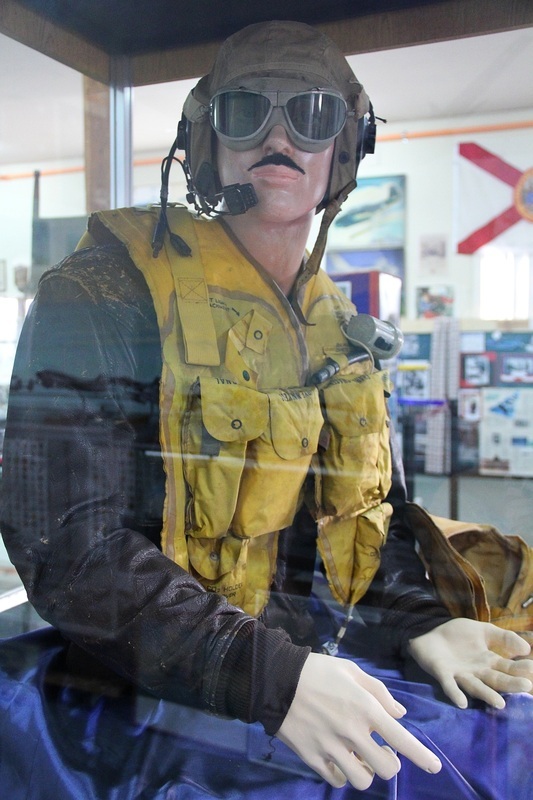 "The very first season after the war… ended up to be the biggest season that Broward County had had up until that time," said county historian Helen Landers. 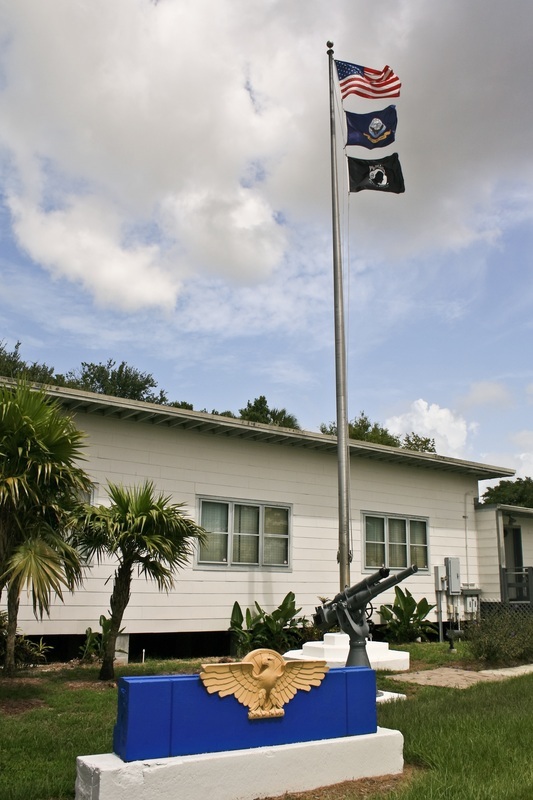 Hundreds of former service members who had been stationed here, like McElhiney, became county residents, and they were a key to later growth. McElhiney later became the Founder of the NASFL Museum. The 13 panels on this exhibit were created and donated by Museum member Brad Wood, from Merle Wood Yachts.